Lunch: Monday to Saturday, 12pm - 2pm. Sunday lunch, 12.30pm - 3pm. Afternoon Tea: Monday to Saturday, 2.30pm - 4.30pm. Dinner: Sunday to Thursday, 7pm - 9pm. Friday & Saturday, 7pm - 9.30pm. 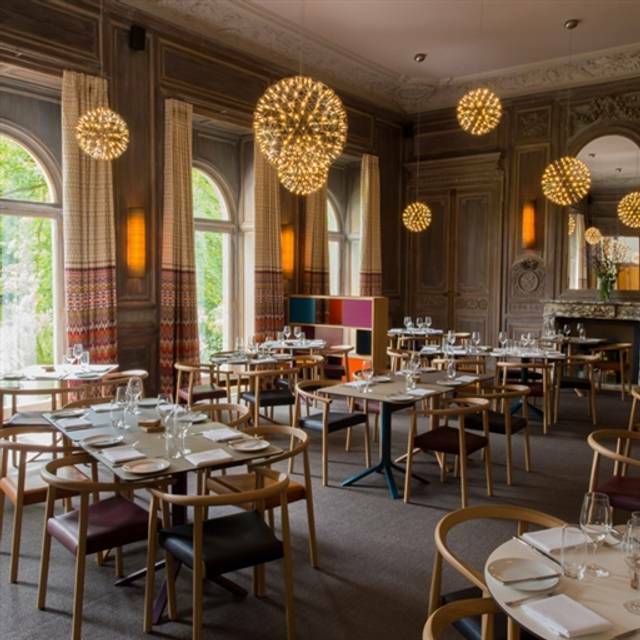 Hidden inside a chic country house hotel just outside Cheltenham in the Cotswold countryside, The Restaurant at Cowley Manor is a feast for the senses. 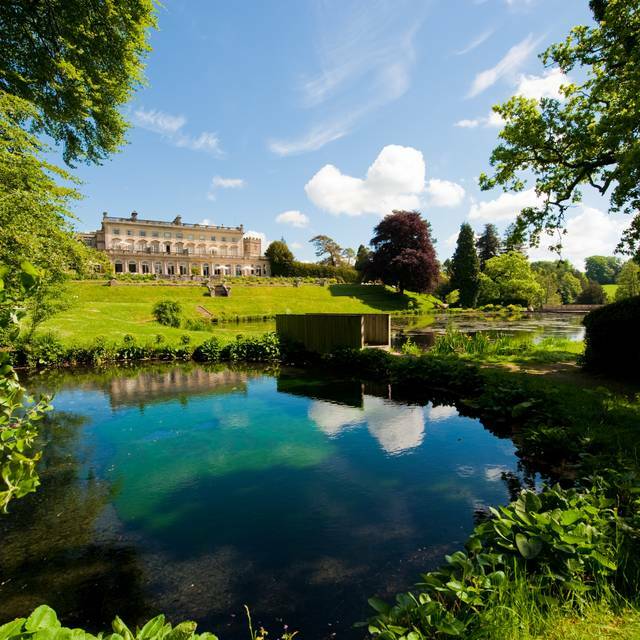 The nineteenth century manor house is rather grand in its Italianate stone and blousy wild country gardens studded with stately oaks, dramatic waterfalls and glistening fountains, its interior a balance of contemporary, colourful style and home comforts. 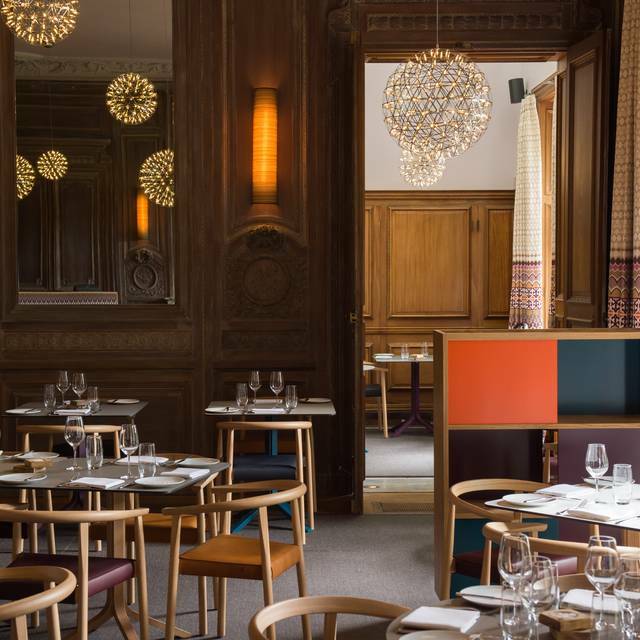 Reflecting Cowley Manor’s own unique blend of contemporary design and home-from-home comfort, the menus, under the direction of Head Chef David Kelman, allow you to share and socialise in beautiful surroundings. 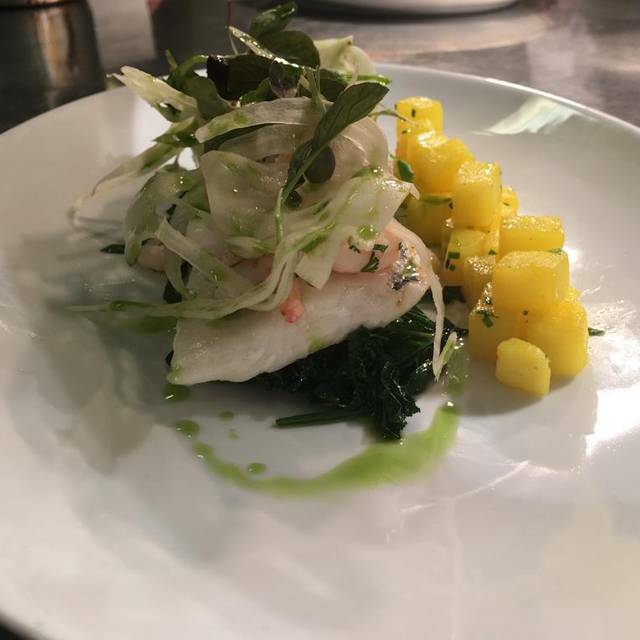 With a commitment to working with the seasons and trusted suppliers, the menus feature a selection of lighter dishes, salads, pizzas and heartier meals. 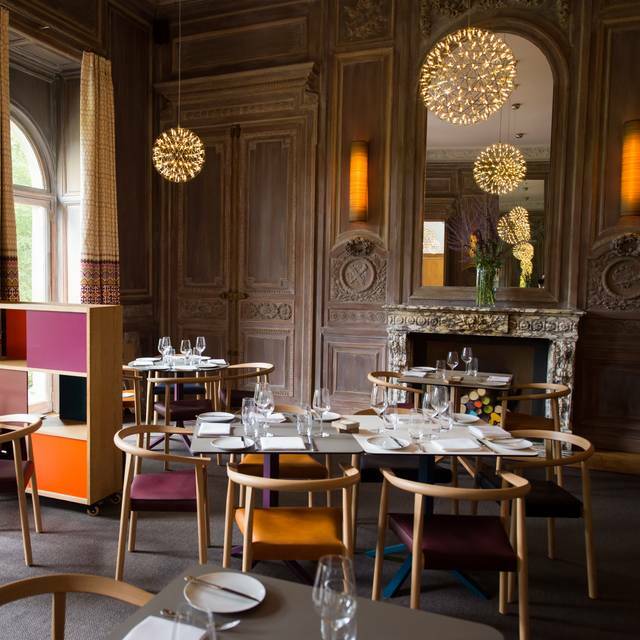 The terrace at The Restaurant offers stunning views of Cowley Manor’s lakes and grounds and the adjacent bar with its open fireplace and panelled walls, makes a cosy spot for pre and post dinner drinks. Afternoon tea £19.95 pp or with Champagne £24.95. Venue reserves the right to make some dates unavailable. From a set menu, with a glass of champagne £24.95. A great location. Grand dining overlooking beautiful gardens. Reasonably priced and great choice for a nice or a special night out. Service pleasant but can be a little slow. Not terrible but a little slow. Relax into it and you will be fine! Nice menu and tasty food. Was a little underwhelmed personally but nothing was bad just nothing great either. In combination with the location the cool bar and pleasant (if a little slow) service place is well worth a trip. The dining room is really beautiful, the menu was great making our decision tricky (in a good way!) but everything was delicious and presented perfectly. Service was friendly and everything was delivered at a good pace - we were really happy and would certainly go back and recommend to others. Thank you. The food at the restaurant was very high quality and there was a good choice across the menu. We were a little disappointed that the service wasn’t more slick. For example, we ordered a side of greens with our main course but we had almost finished our main before it came and we had chased two separate people about it. The setting was lovely and the rest of the experience was top class. The staff were friendly and helpful too. Dinner - lovely ingredients and wonderfully cooked. Chef has a deft touch with a steak! But although we only had 2 drinks, and one was lemonade, it was well over £100 for 3 courses which is a bit steep. My biggest niggle was after we were seated and had water brought to the table we were overlooked for about 10 mins (which is a long time when you're waiting, even in such a lovely room!) It was not busy and the waiters, once they realised were a little shamefaced and quick to rectify. The service thereafter was good. Breakfast - fabulous continental buffet, wonderful choice. I enjoyed that the tables in the windows were laid so that one could make the most of the gorgeous garden views. The cooked breakfast was pretty overpriced for the ingredients on the plate. We abstained for that reason except 1 English breakfast on our last day. Again, beautifully cooked and quality ingredients but small portion for the price. Valentine's dinner 2019 ... fantastic food, great service, stunning location! The most beautiful dining room with a creative menu using fresh local ingredients. Excellent food and service. Even in the bar and lounge areas you would just be thinking it may be time for another drink and a waiter would appear by your side but without being intrusive. Food was delicious, breakfast, lunch and dinner. My only suggestions would be to offer vegetarians a choice, not just one item. There was nothing for vegans that I could see. Also when you've paid such a lot of money for a room it seems a bit cheeky to only offer a cold breakfast as included in the bed and breakfast rate. Loved the meal and environment. Fantastic service. Only really big downfall for me was lack of vegetarian option - I was v disappointed with my vegetarian main and not good value for money. Other food looked amazing and probably more worth the money! Hotel lovely. Good service from friendly staff. Food poor. A definite lack of finesse/ presentation for lunch and dinner choices. Dinner main tasty but over cooked. Sides obviously had been sitting in oven/ grill for a while. Would recommend hotel, but would recommend eat elsewhere. Two mains (duck and beef) both with the same very salty sauce. Lukewarm vegetables, potatoes not what was on the menu. One starter arrived, 10 minutes later we had to ask for the second. Small refund given, but prices were high. 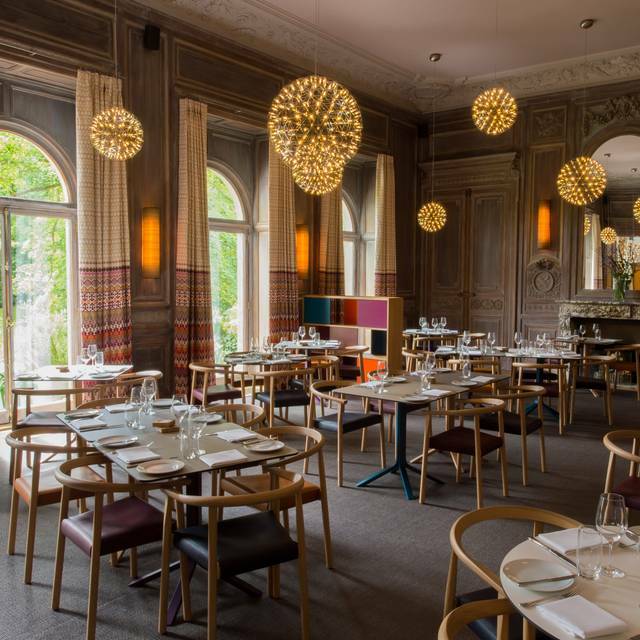 We booked a table ahead of our stay at Cowley Manor, and to start the review on a positive, the food was exceptional and can't be faulted at all, I would definitely go back just for the quality of the food. The overall experience was however completely let down by the poor service we received from both the restaurant and bar staff. Before our meal we visited the main bar for some drinks and one of the two bar men just looked at us when we ordered our drinks and made no attempt at customer service, this was in contrast to the other barman who actually made an effort to talk to us and was pleasant enough so we didn't let this bother us too much. What was unacceptable however was the quality of the service in the restaurant. The service was extremely slow and the waiters were inattentive throughout our meal. We waited over an hour to be served our main course and had to go and ask if there was an issue in the kitchen before it was eventually served. We were in the restaurant for over 2 hours due to the slow service, we had to go and ask the waiters if we could order drinks and there were no updates on the order, no checks to ensure the food was ok and plates from our starters were left on the table all evening. I understand that things happen and service can be effected from time to time but at no point during the evening did anyone come over and update us or apologise for the wait. When we asked if the was a problem the manager came over and didn't really offer much explanation or apology, only saying that they had had a table of 4 and a table of 5 before us. I don't work in catering industry but a table of 4 or 5 should not be considered exceptional and doesn't justify the poor service experienced. We also saw at least two other tables complain as well during our meal and ended up being one of the last diners to leave despite arriving at 8:15pm. Our Sunday lunch booking was let down by poor service. We waited 55 minutes for our meals to be served and there was an embarrassingly long delay before our vegetables arrived. We had to ask for sauces and there was also a further long delay when we wanted to pay and so we had to find someone at the bar. There were three waiters on duty, two of which we hardly saw and one had a food stain down the front of his black jacket. Not the sort of standards you would expect from this type of establishment. Luckily we didn’t want desserts as I noticed on our booking our table was only held from 1pm to 2.30pm and our meals weren’t served until 1.55pm and the restaurant was almost empty. We were very disappointed as on this occasion we had invited guests, having previously had good experiences of the restaurant. Even the view of the gardens was spoilt by what looked like black mobile toilets and chairs on the front lawn. We will not be rushing to return or recommend. Disappointing meal. Beautiful dining room set high expectations and the pre- starter amuse bouche was a delicious carrot and ginger soup. Terrine starter was ok but bread was poor. Beef fillet was tough and not good. Service was adequate but none of the staff seemed to go the extra mile. Unfortunately due to a massive mistake by Opentable Cowley manor was put in a very awkward position last night. I had booked dinner for 2 at 8pm only to find that on arrival there was a private function and the hotel was closed to non residents! So I cannot review Malt as we didn’t actually manage to dine there. Very disappointing evening. Thanks Open table. Service was good, food even better and not many places better to sit and look upon whilst eating outside. What an amazing experience, fantastic food, great service and beautiful views to the acres of land that surround Cowley Manor. A wonderful meal, well presented and delicious food. The choices were good, and prices not too bad. The drinks were expensive, but very extensive choices. Location was beautiful. 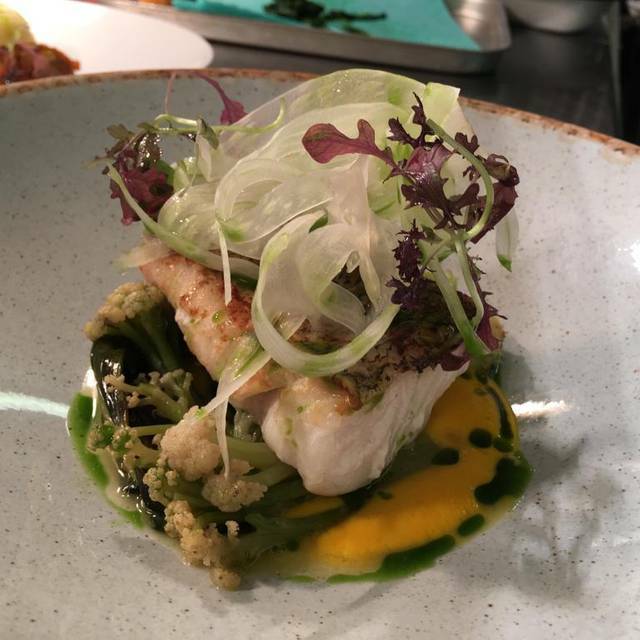 Set in well maintained grounds and set in a huge Manor house, the restaurant churns out beautiful quality and well presented food that's fairly priced. Would definitely go again. Restaurant ambience and decor is well thought out and is the ideal romantic setting. A relaxed place for a family get together. Very good for children's food but bar tables are quite low for pre school youngsters. We were allocated a special breakfast room for 9 which worked well. Evening main dining was basic British and not haut cuisine. Food was exceptional. Service was strange, a little lacking in tact and connection but well-meaning. Wonderful food. Great service, relaxed yet refined. Delicious food and great service. It's pretty pricey and you will need a side with the main courses but they are great. 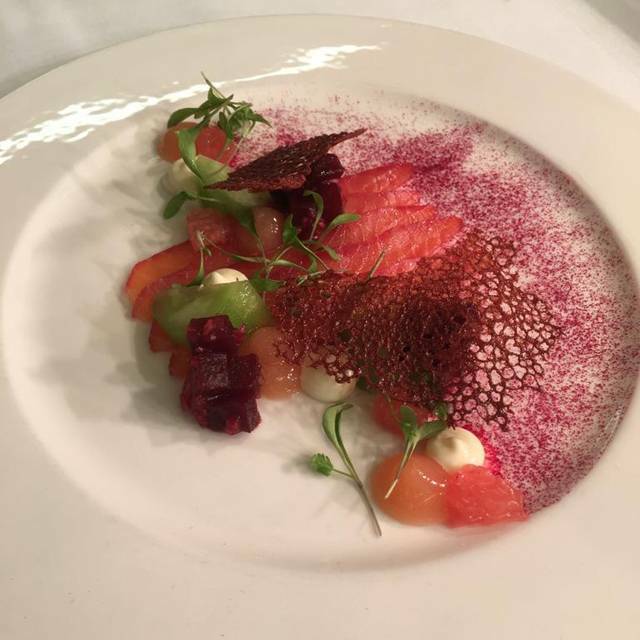 Was a stunning venue, food was superb although the beef could have done with twice the amount... staff were very polite and friendly and the attmophie was pleasant. First time,beatiful place with beautiful views,but the food was ok.
We were quit dissapointed,we read the reviews,so we looked really forward to it.But we had better meals in also nice places. 3 meals we couldn't choose from,so not much choice left. They made a surprise mocktail for my daughter, she didn't like it,but we had to pay £7.- for it. Maybe come back for lunch,because of the beautiful views,but not coming back for dinner,its not worth the money. The setting is exquisite. Both the set menu and lunch time menu have some really delicious options. I had the lamb which was perfect. I have found that the stock answer to vegetarians is some variation on goats cheese; Malt was no different, my wife enjoyed it, but more could be offered. Really reasonably priced and I would be happy to take the kids in the summer and let them run around on the lawn. I am not sure how happy paying guests would be however. All in all a really enjoyable lunch and somewhere I absolutely recommend. 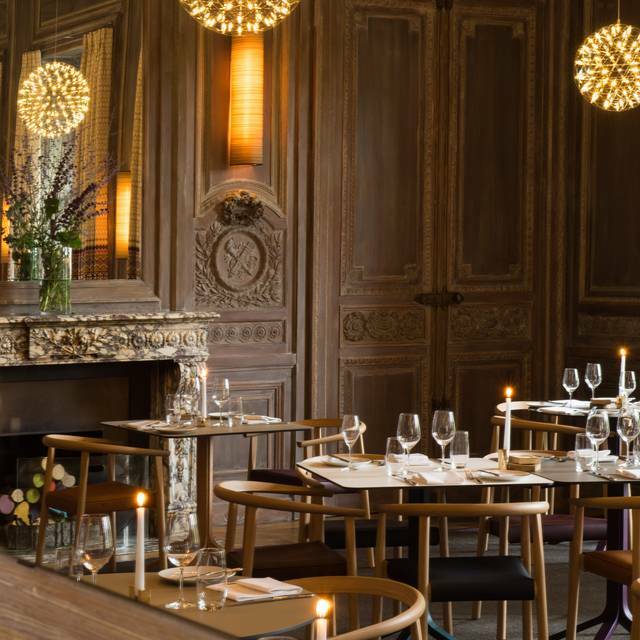 Great food and wine, in a modern and elegant atmosphere. We especially liked the cocktails which were creative and delicious. The service was everything you expect from a topknot restaurant. This is the third time I've written a review without it being remembered by the system.. So it must be good. We were staying at the hotel and booked Malt for our first evening there. The food and wine were good, but service (although very charming!) not great. Atmosphere is also much more lacklustre than the excellent Green Dragon, which is a 5-10 min walk away. A really attractive Manor House set in beautiful grounds. Excellent dining room, good food and very courteous efficient service. Highly recommended. Had a very enjoyable Valentines meal. Great welcome, very helpful staff, lovely ambience in restaurant lounge and bar. had a flaming cocktail, which was impressively served. lovely sitting by the fire in the lounge with after dinner drinks. Pretty much faultless and food was very good too. Lovely country house with an unusual contemporary interior, set in beautiful traditional gardens. Lunch was good quality though we felt quite a limited menu, the staff were all very helpful and we both agreed it was all priced competitively. We particularly enjoyed drinking our cocktails in the gardens before our lunch, I can highly recommend the Bloody Mary! We booked through open table app. On arrival the reception knew we were coming and made us very welcome. We sat in the lounge with a roaring log fire and enjoyed canapés. The meal arrived quickly and was cooked to perfection. There was a good choice on the menu. Drinks were a little expensive and I suggest buying a bottle of wine rather than by the glass. The evening had a nice relaxed atmosphere throughout. Would definitely return. The exterior is imposing, effectively illuminated at night.. The welcome at reception was prompt and efficient and we were taken through to the large bar area. This looked and sounded like a crèche- at 8 30 in the evening- and wS not a restful place for a quiet pre dinner drink. The service was good-a barman who knew how to make a dry martini- and an over worked waitress who delivered drinks, nibbles and menus with commendable efficiency. The dining room was suitably traditional-wood paneling etc- but the tables were squashed together in a way that made private conversation I'mpossible. White wine was served correctly chilled but even after half an hour the red was still cold and the remedy was to plunge it into warm water!. Pigeon breast starter was excellent-pink and tender yet with good gamey flavour. The main course pheasant lacked all flavour and was overlooked but the pork that came with it was delicious. The venison was also rated as excellent and expertly cooked-again nicely pink. A warm Acheron completed the meal though the bread that was served with it was ordinary-unlike the excellent bread that was provided at the start of the meal. The whole experience was a curious mixture- some parts very good but others really quite off putting. The experience in the bar was odd with subdued lighting and an attempt to create an intimate atmosphere clashing with noisy children, the clatter of people eating and chairs that were apparently designed for children and not 6 foot adults. Similarly the service in the restaurant was enthusiastic and cheerful but at £80 a head I expected better. Ditto the food which wobbled fro excellent to ordinary. This place has real potential but it needs consistency and it must decide what it's core market is. At present it seems to be trying to do to much of everything with inevitable results. Stunning venue for a wonderful birthday meal! Gorgeous food, great service - a real treat for a special occasion. I only wished I could stay the night too.